Don’t forget to watch heavyweight champ Brock Lesnar and Cain Velasquez star in Spike TV’s debut of “UFC Primetime: Lesnar vs. Velasquez.” Oh wait, it’s not two weeks ago and you missed the entire three-part series? No worries, 5thRound.com’s got your back with a freebie stream of all three episodes. The first show debuted on October 6th, with the final two editions airing on the successive Wednesdays. “UFC Primetime” provided an in-depth look into the lives of both 265-pound studs. As the two prepare for Saturday’s appointment, Spike took viewers from rural Minnesota where Lesnar trains with his Death Clutch team to San Jose, Cali where Velasquez works with the famed American Kickboxing Academy squad. 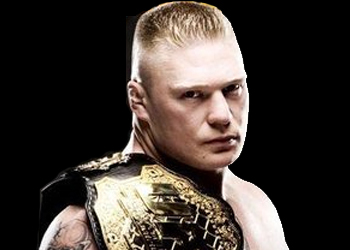 Lesnar is coming off a come-from-behind victory over Shane Carwin at UFC 116, while Velasquez is looking to capitalize on the most impressive win of his young career after stopping MMA legend Antonio Rodrigo Nogueira at UFC 110. The Honda Center in Anaheim, California will host tomorrow’s pay-per-view extravaganza.